Art and history ooze from every nook, cranny, corner, square and street in Florence, and rightly so given this enthralling city was the birthplace of the Renaissance. Entering Florence’s art galleries makes you feel like you’ve stepped by in time, witnessing a wonderful world of bygone eras and some of the best art in the world. Choosing which art galleries to visit in Florence might be the most taxing part of your day! Here’s three of the best art galleries in this incredible Italian city that would certainly be a good place to start. Considered one of the world’s top art galleries, the Uffizi is home to many leading works from the Renaissance, including a comprehensive collection of Roman and Greek sculptures and works by Michelangelo, Leonardo da Vinci and Botticelli. 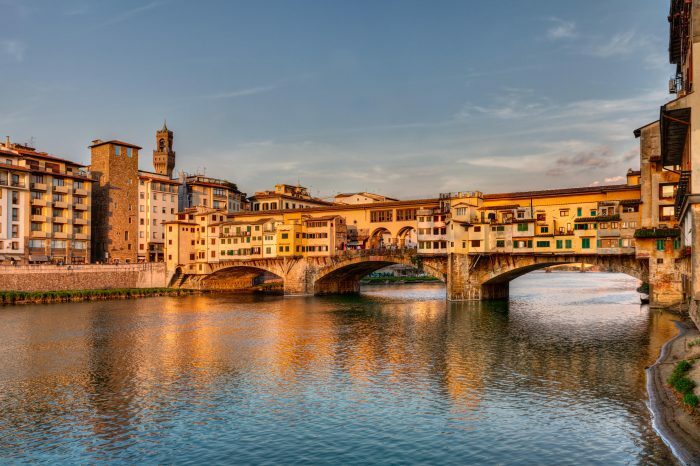 Another highlight of this remarkable gallery is the Vasari Corridor, which stretches from the Palazzo Vecchio to the Uffizi across the Ponte Vecchio bridge over the river. The Galleria dell’Accademia is home to Michelangelo’s famous sculpture, David, and remains one of the most visited art galleries in the world. Asides the works of Michelangelo, you can feast your eyes on art by Botticelli, Giambologna, Perugino and Alessandro Allori. Set in one of the oldest buildings in Florence, which dates to 1255 when it was used as the city’s first seat of government and later as a prison during the 18th century, the National Museum of Bargello is a fascinating place to visit. This ancient building is home to Gothic decorative arts, sculptures from the grand ducal collections and works by Donatello. A trip to the National Museum of Bargello should be on the itinerary of every art lover.